General View of Yâlo—the Ancient Ajalon—Palestine. 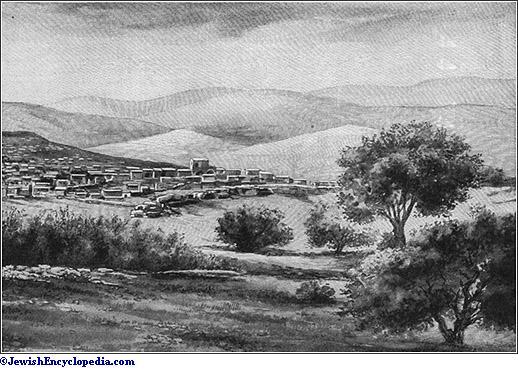 A city in Palestine, from which the adjacent "Valley of Ajalon" took its name (Josh. x. 12). Its location is identical with that of the present Yâlo, a small village on the western spur of the south Ephraimitic mountain range (Robinson, "Researches," ii. 253; iii. 145; Guérin, "La Judée," i. 290; Pal. Explor. Fund, "Memoirs," iii. 19). The valley of Ajalon is either the fertile plain Merj ibn Umâr or the valley Wady Salmân, which lies west of Gibeon and leads to Ajalon. The city is mentioned in the El-Amarna tablets under the names Aialuna and Ialuna (Winckler, in "Keilinschrift. Bibliothek,"vol. v., Nos. 173, 180). According to Judges, i. 35, the Danites failed to conquer Ajalon; and it remained Canaanitic until subdued by the Ephraimites. It is included in the Danite territory referred to in Josh. xix. 42, xxi. 24 (compare I Chron. vi. 54); but in I Chron. viii. 13 it appears as a city of the Benjamites. 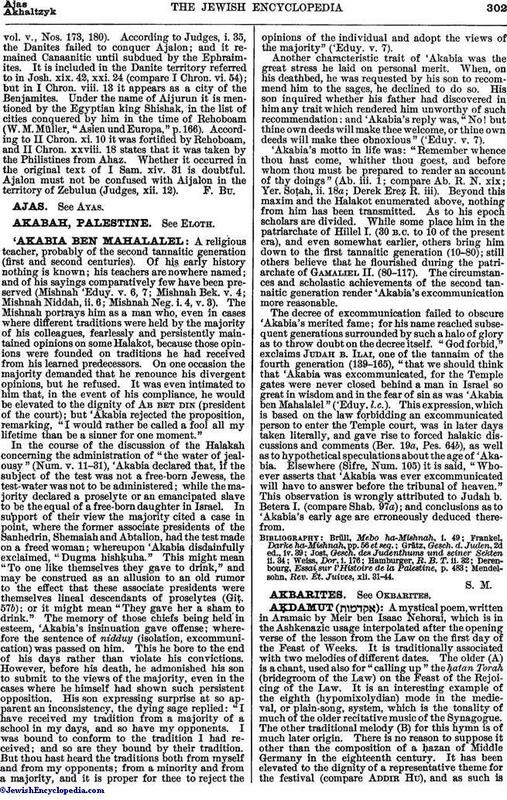 Under the name of Aijurun it is mentioned by the Egyptian king Shishak, in the list of cities conquered by him in the time of Rehoboam (W. M. Müller, "Asien und Europa," p. 166). According to II Chron. xi. 10 it was fortified by Rehoboam, and II Chron. xxviii. 18 states that it was taken by the Philistines from Ahaz. Whether it occurred in the original text of I Sam. xiv. 31 is doubtful. 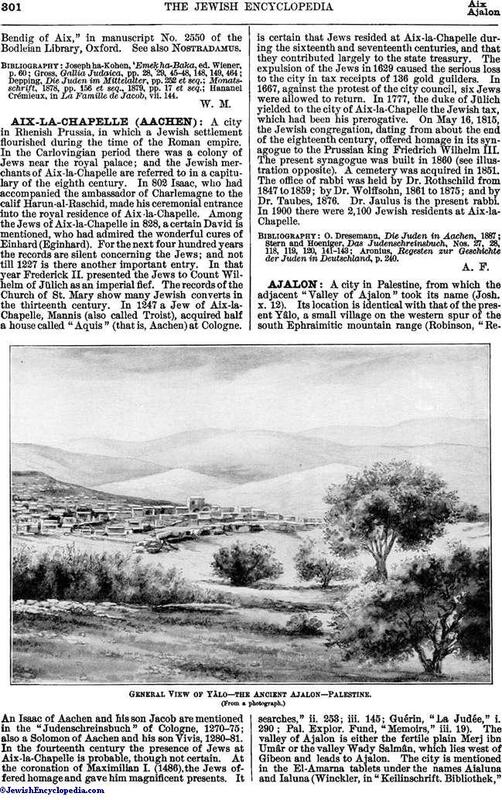 Ajalon must not be confused with Aijalon in the territory of Zebulun (Judges, xii. 12).